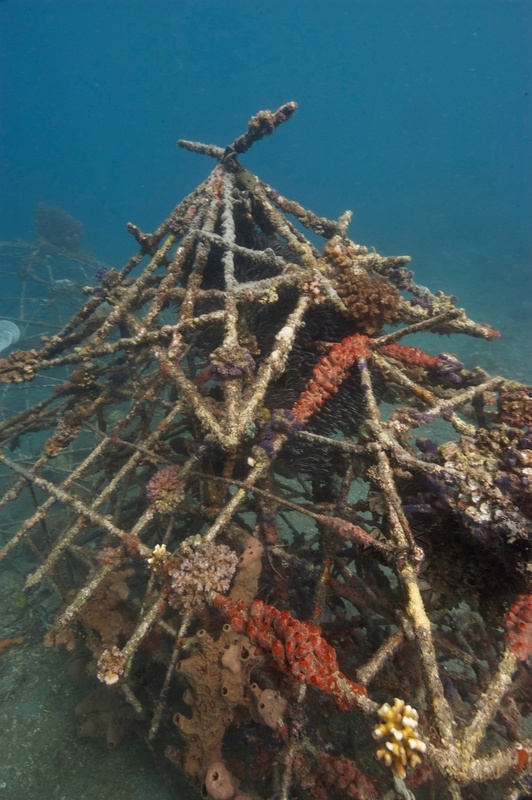 In 2007, Critters@Lembeh initiated a House Reef Project and since then, our in-house Marine Biologist, together with researchers and volunteers, have installed a variety of structures to encourage the growth of coral and sponges and to provide a habitat for sea life. 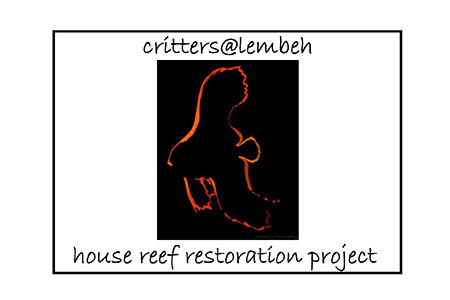 These projects have proven very successful and a dazzling array of Lembeh critters can be seen just steps away from the shore. The initial area is flat and shallow and features a mix of coral, sea grass and sand. Nudibranchs, many species of pipefishes and anemone fishes are plentiful in this area. 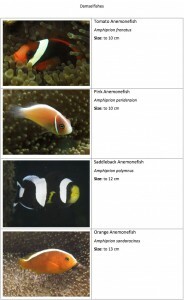 There are some lovely hard corals also suitable for snorkeling (cabbage coral and acropora table corals), and down deeper, a sand environment where blue-ring octopus, twin-spot gobies and colorful mantis shrimps can be found. 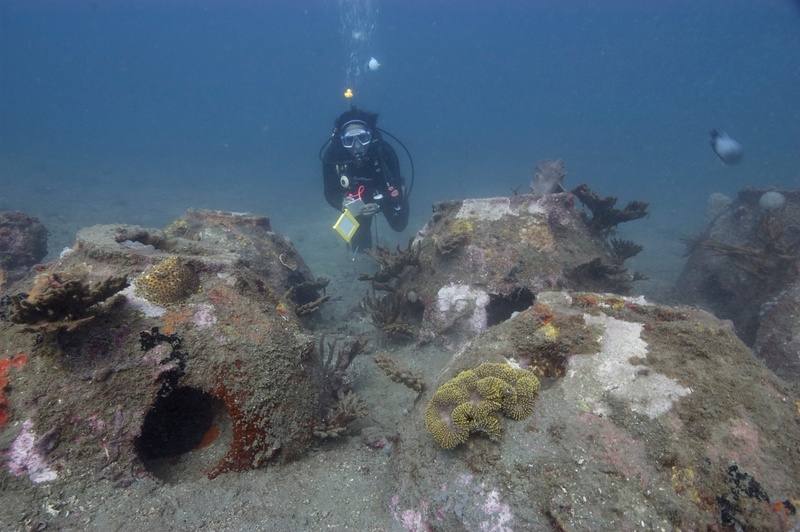 You can dive the house reef any time you like, and you pick the depth that suits you; we have had guests who did a 3 hour dive on the house reef and never went deeper than 6 meters/ 20 feet! 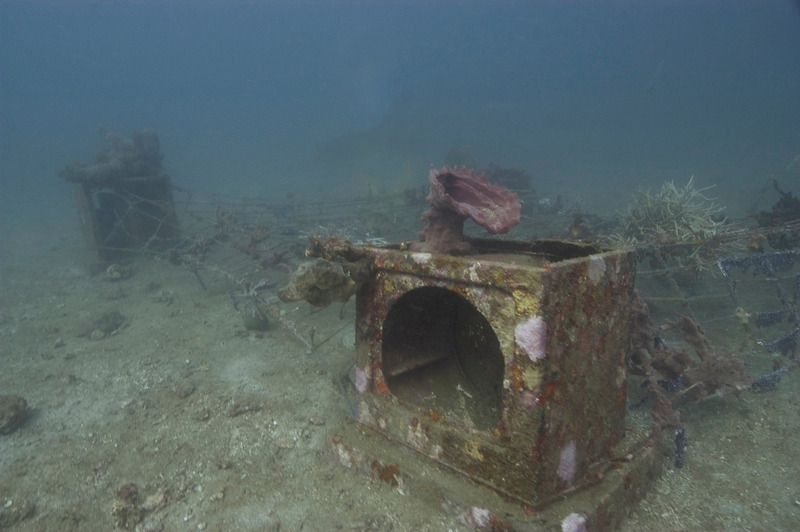 Self-guided house reef dives are easy thanks to our buoy system, but you can also get a guide for a nominal fee. Check out our in-house Photo Pro’s video, filmed entirely on the house reef. 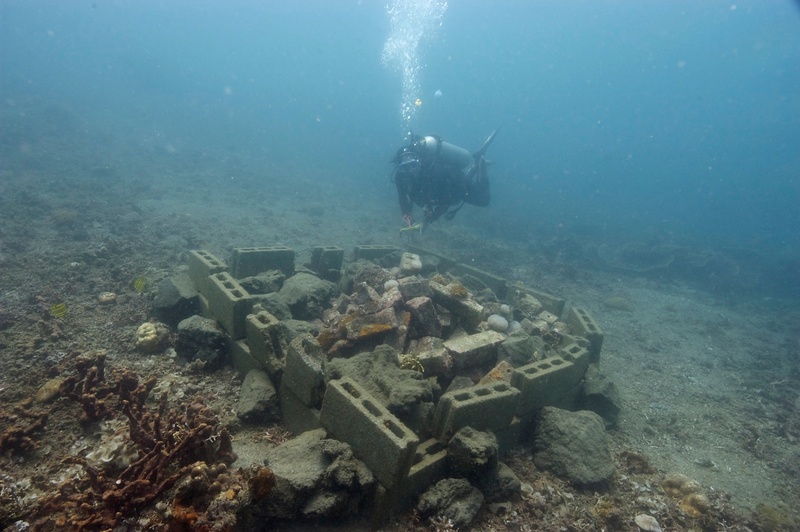 Installed at two depths: 16-17m and 18-19m, total 18 structures, made of a coarse-grain cement which is a good substrate for coral larvae and sponges. 23 structures installed in 7-15m. Each structure is made out of several long rectangular blocks stacked on top of each other so that they look like a chimney with gaps or holes in the sides for fish to go in and out of, lay eggs and also for coral larvae to attach and grow. 3 structures installed around 7m which are growing, living metal structures through which low-voltage electricity was distributed. We transplanted/attached some broken coral to the structures with cable ties for small specimens or wire for large specimens. 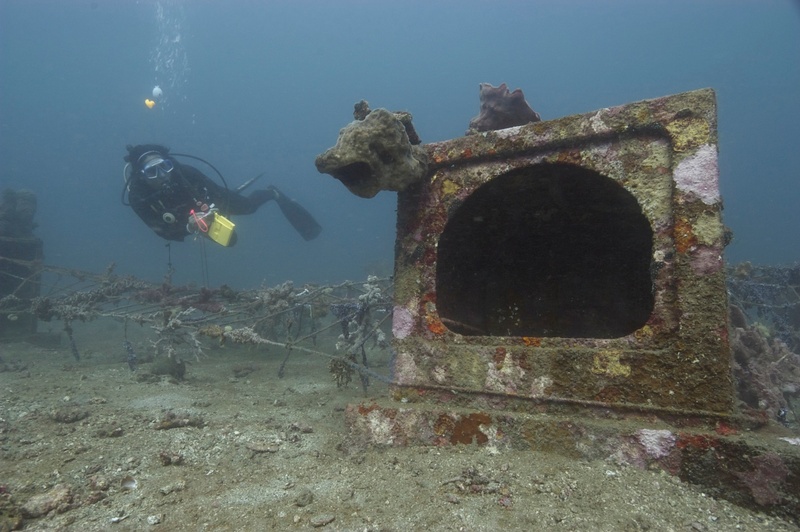 The electricity was to stimulate the coral to grow faster. The electrical current was running for about 5 years and since then it has been growing naturally. 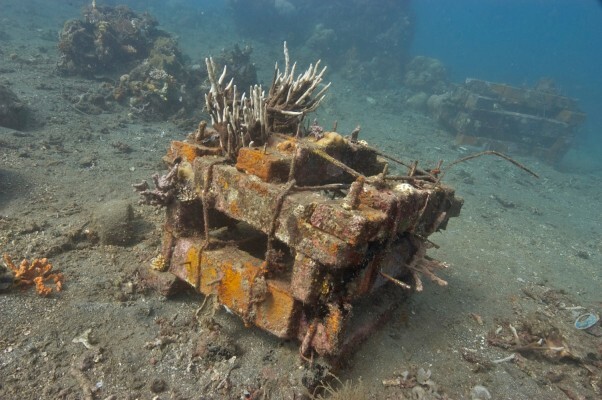 Biorock is basically a growing, living metal structure underwater through which low- voltage electricity is distributed. 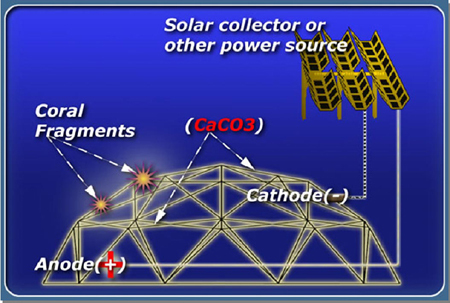 The electric field surrounding the metal structure promotes CaCO3 (limestone) growth on the metal, and with time the structure grows larger and larger, the same way that coral grows. In order to construct a Biorock, you will need material for the BioRock© itself, most preferably the cheapest (not galvanized) metal bars or rebar. There is no need to use expensive metal. In any case do not use aluminium for any part of the structure as it will dissolve. Secondly, you will need anode, to which the positive current is led. Anode on the other hand cannot be any other metal than titanium. Titanium mesh (quite costly, $50/m2) will not dissolve, as lead or steel will. It is permanent, will last for years and years and it is non-toxic. Third, you need a cables, triple isolated, 2.5mm2 cable. We had You to buy these in Mandao. We connected the cables is one whole cables (negative, positive and ground) one attaches as negative and one as positive source. You will need epoxy marine glue to connect the cables to the anode and to the structure. Also you will need to make a connection in the cables if they do not reach all the way to the Biorock. Obviously, the fewer connections you make, the lower the chance of error, so try to use as long cables as possible or and place the Biorock close enough to the shore. The way the Biorock works is relatively simple. Seawater creates an electric field. 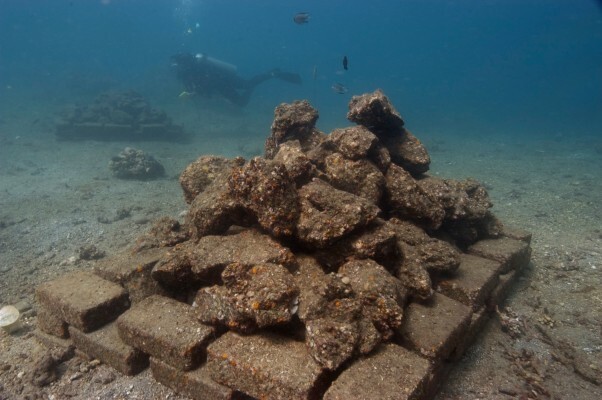 By placing the anodes on either side of the BioRock, you will create even limestone deposition. The size of the anode should be about 1/20 of the size of the structure, but this is only educated guess, there are no strict rules. Distance from the shore is a limit. If using a battery charger, the DC current running through is only effective for about 100m, assuming you are using at least 2.5mm2 thickness cables. Anything further away from shore, solar panels should be used. If you could use an underwater AC/DC converter, the distance would be no limit. In areas suitable for that tidal or wind power can be used. From our personal experience: the BioRock is an ideal method to create an extra habitual structure to an area. Coral transplanted onto it does grow and the mortality is very low, compared to other methods of transplanting corals onto fish houses. 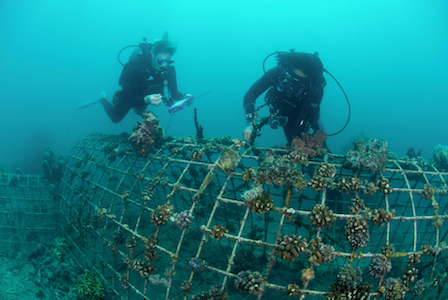 We also try to choose corals laying loose in the substrate or colonies partly attacked by a predator (coral eating sponge); generally we pick corals that are likely to die if left in their original state, or place. Elevating the corals gives them better position to photosynthesize and we assume they have a better chance to survive and to grow. 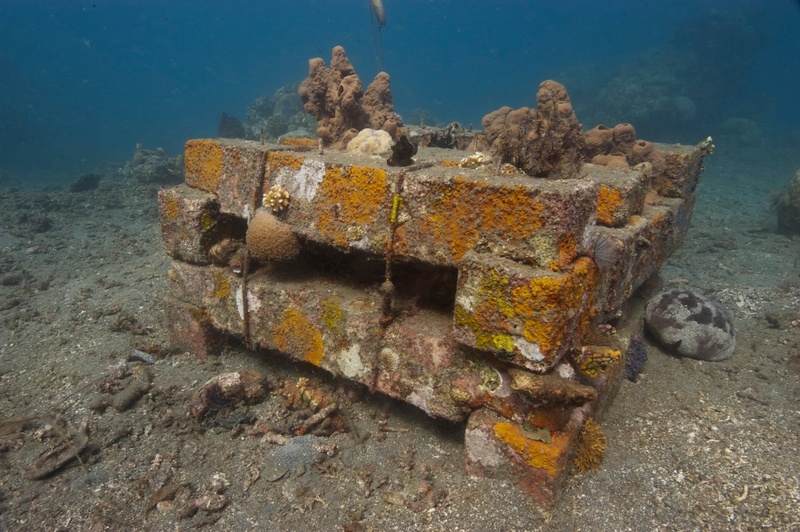 Fish are naturally attracted to structures for protection and the Biorock is no exception. 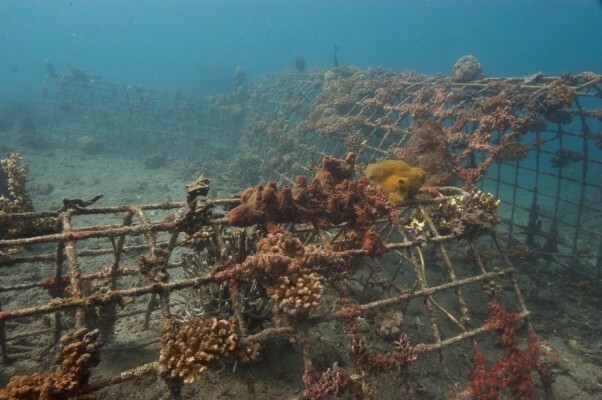 If you take a coral colony attacked by the coral eating sponge break of the healthy part of the colony and make sure none of the sponge is left. We installed 4 washing machines that were cemented in place to make them stable in a deeper flat area at 19-24m and attached ropes and webbing so that it looks like a big net. We also transplanted sponges to attract fish. Five structures were scattered around 7-8m. This is a very natural structure, we made a frame from hollow brick and piled the lava rocks like a small mountain and left some gaps so fishes can swim around and lay eggs. 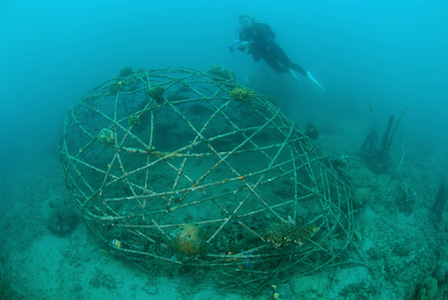 These structures are also very productive for coral and ascidian (tunicate) growth. 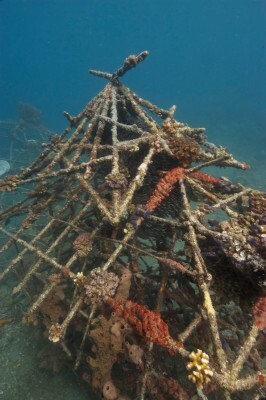 We also installed this type of structure at one of the dive sites that is close to Lembeh Resort and the results have been good. 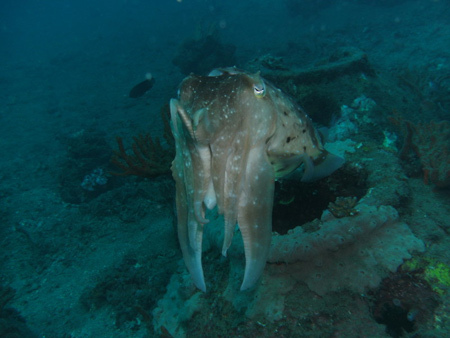 Many half-coconut shells were distributed along the flat sandy substrate for flamboyant cuttlefish to lay eggs in. Coconut shells are one of their favourite materials for laying eggs in. Thanks to these projects as well as our prime location in the epicenter of the world’s premier location for critter diving, our guests have been able to enjoy seeing Blue Ringed octopus, Harlequin shrimps, Ghost pipefish, Flamboyant cuttlefish and even the rare hairy octopus as well as a healthy variety of corals and sponges on our house reef. Come check it out for yourself! filmed entirely on the house reef.